IKEA France directors are being investigated by French prosecutors over allegations that they snooped on employees and customers. Chief executive Stefan Vanoverbeke, his predecessor Jean-Louis Baillo, and chief financial officer Dariusz Rychert were arrested on Monday. They are accused of trying to obtain information on employees and customers from police files. Similar legal action has been taken against at least two police officers. The IKEA bosses face accusations of “complicity to collect personal data” and “complicity to violate professional secrecy”. The move comes after police searched the company’s premises earlier this month. The scandal first came to light last year after an IKEA insider leaked emails between the company and a security company to the satirical newspaper Le Canard Enchaine. The emails suggested that the firm was seeking access to records about its staff and customers from a police database holding millions of names and the personal information of criminals, victims and even witnesses. Two unions have filed complaints against IKEA, accusing them of spying on hundreds of employees and customers over a period of five years. Since January, 10 people have been placed under formal investigation including four police officers and the company’s former head of security. Stefan Vanoverbek’s lawyer, Alexis Gulbin, said his “client totally disputes his involvement in this matter”. “He’s calmly awaiting the next steps in the process. He was the one who took corrective measures as soon as the problems were discovered,” said Alexis Gulbin. 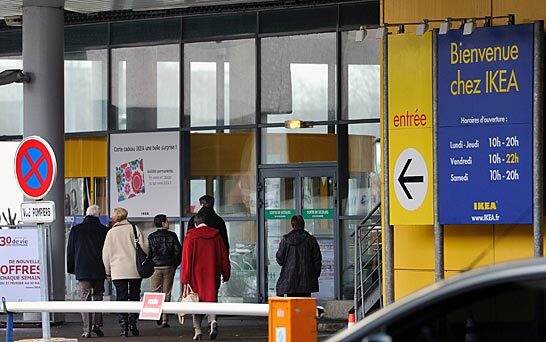 Last year IKEA France suspended and later fired its head of risk management and three of its senior directors. Since then the company has also put in place a new code of conduct. A spokeswoman for IKEA France said the firm was aware of the latest developments and would continue to assist the authorities.